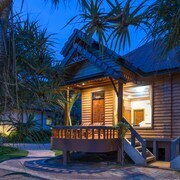 Nestled on the beach, this Ko Lanta resort is within a 15-minute walk of Kawkwang Beach and Klong Dao Beach. Long Beach is 2.1 mi (3.4 km) away. 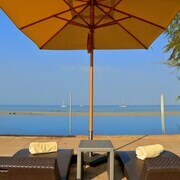 Nestled on the beach, this Ko Lanta resort is within a 10-minute walk of Long Beach and Klong Dao Beach. Khlong Khong Beach is 2.9 mi (4.7 km) away. 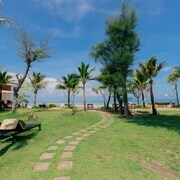 Nestled on the beach, this Ko Lanta hotel is within a 15-minute walk of Long Beach and Klong Dao Beach. Khlong Khong Beach is 3 mi (4.9 km) away. 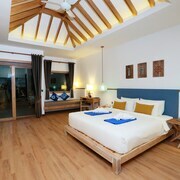 Nestled on the beach, this Ko Lanta hotel is within 1 mi (2 km) of Kawkwang Beach and Klong Dao Beach. Long Beach is 2.5 mi (4.1 km) away. Absolutely amazing experience at Pimalai, from a seamless airport and boat transfer to fantastic spa services it was a great resort stay. 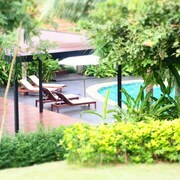 Amenities were world class with island tours and sports / thai cooking classes on offer. The food throughout our stay was top notch too, genuine thai food done right, would recommend! Beautiful spot and staff was very nice and helpful with arranging day boat trip and car back to Phuket. 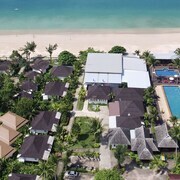 Which hotels are closest to the Ko Lanta airport? Where to stay near top Ko Lanta attractions? What kind of hotels are in Ko Lanta? 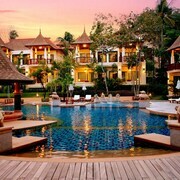 Which hotel chains are in Ko Lanta? Couples looking to get away will find a romantic atmosphere in Ko Lanta, and visitors give high marks for the beaches and lively bar scene. This city's relaxing setting also attracts tourists. 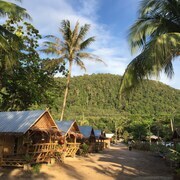 A top sight in the area is Ko Jum Beach. 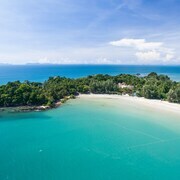 The city's natural setting is picturesque, including the beaches and these places to visit: Klong Dao Beach, Kawkwang Beach, and Long Beach. Snorkeling is a top activity, and Sala Dan Pier is one place to visit. A couple of additional sights to add to your agenda are Muzeum Techniki and Sala Dan Community School. SER-EN-DIP-I-TY - This 2.5-star guesthouse features free WiFi, free parking, and a terrace. 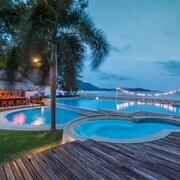 Pimalai Resort And Spa - Our customers like the dining options and breakfast at this resort. With a stay at this 5-star resort, guests can enjoy access to 2 outdoor pools and a full-service spa, along with free WiFi. 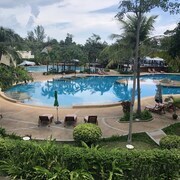 Baan KanTiang See Villa Resort - With a stay at this 3.5-star resort, guests can enjoy access to an outdoor pool and free parking, along with an in-room kitchen. Expedia customers like its beach locale and pool. One of the popular sights outside the city is Ko Jum Beach, located 11.6 mi (18.7 from the city center. 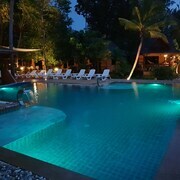 What are the most popular hotels in Ko Lanta? 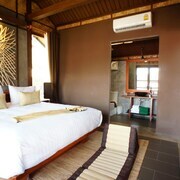 Are there hotels in cities near Ko Lanta? 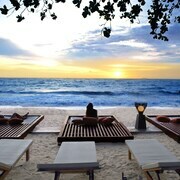 Explore Ko Lanta with Expedia.com.au’s Travel Guides to find the best flights, cars, holiday packages and more!